DENMARK: Developer European Energy said its Q2 Ebitda fell from DKK 17.9 million (€2.4 million) to DKK 8.4 million (€1.1 million) in line with expectations. European Energy CEO Knud Erik Andersen said he was happy with the results, predicting a more profitable second half of the year. For the second quarter, European Energy recorded a pre-tax loss of DKK 9.3 million, compared to a pre-tax profit of DKK 7.9 million a year ago, the Danish company said. "We maintained our positive momentum in development and building activities in our core markets and in new ones markets," Andersen said. "The expected divestment of solar and wind farms continues as planned. "We have had a lot of interest in our projects from institutional investors, and we expect to announce additional sales in the second half of 2018. "We are pleased with the momentum we have built up and expect to be busy in the second half of 2018," Andersen said. The firm said the timing of project divestments were to blame for the fall in earnings. 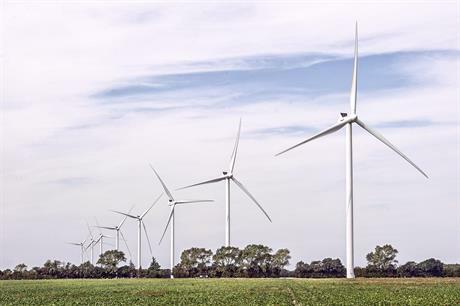 To-date this year, the wind and solar company has sold just one 39MW project. However, it is in the sale process for roughly 250MW of capacity, up from 160MW at the same time last year, indicating a busier second half of the year. European Energy also reached the 1GW installed capacity milestone in the second quarter of the year.